Home boxing cuneta dome event facebook head and shoulders manny manny pacquiao nuffnang pacman pacquiao pacquiao margarito live streaming philippines www.pacquiao-margarito.com I Support Manny Pacquiao, the World’s #1 Boxer, just like Head and Shoulders, the World’s #1 Shampoo! 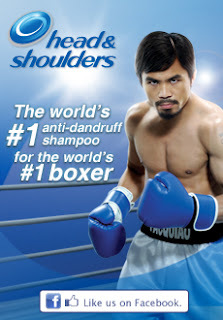 I Support Manny Pacquiao, the World’s #1 Boxer, just like Head and Shoulders, the World’s #1 Shampoo! Pacquiao, Margarito? Which side are you! This November 14, Year 2010, the pound for pound champion will have to defend again his title from Margarito. This should be an interesting fight. As fellow Filipinos it should not be questioned whether we'll support him or not. For the avid fans it's already given. They'll 100% support Pacquiao all the way, from the start to finish, wether he wins or loses. For the pips who wants something new or different most likely they'll bet for Margarito. Now there are some who doesn't care but still wants to just enjoy the fight. Still the essence of the support is there. That's what is important. I remember one time, that since we don't a have a cable and can't wait for the national TV to broadcast the event, I manage to keep myself satisfied by just listening to commentators from the radio. Trusting them on whatever they say as they cover the fight live. Pacquiao bouts are usually interesting. It's only the presence of him in the ring, the crowd. You can also feel the presence on the streets. Yes, don't raise your eyebrows! Every time there's a fight of Manny's, the crime rate goes down to ZERO, yes Z-E-R-O. Even the crooks are watching and enjoying the fight. Nice! Employees file your leaves if you have a shift on a Sunday. Couples make it a part of your date. Singles, look for a partner. Kids watch it together with your parents/guardian. Let's support the Filipino Pride, Pambansang Kamao Manny "Pacman" Pacquiao! Live Streaming? 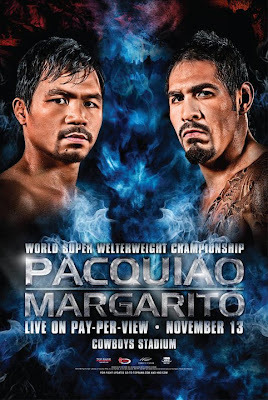 Pacquiao-Margarito fight on live stream? Nuffnangers located in Manila will have the chance to witness the fight via patch live in Cuneta Astrodome for free. Hope that I'll be one of them, and to cover the fight to.